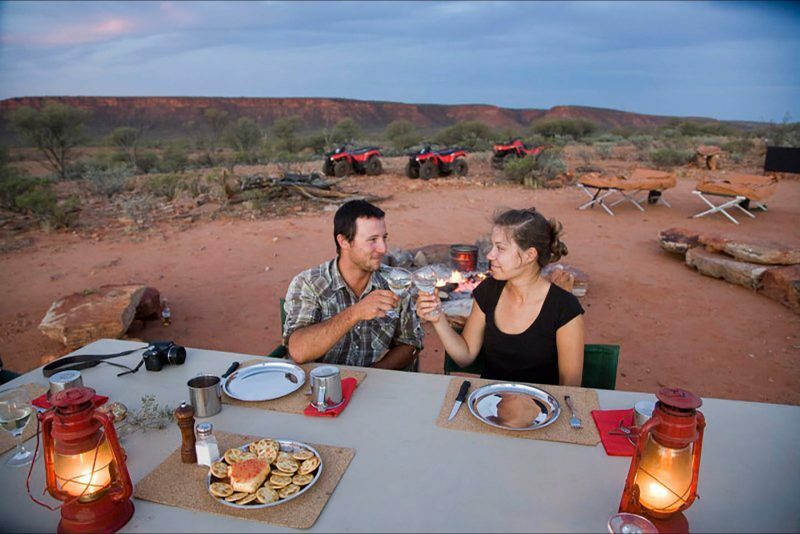 Situated at the foot of the beautiful George Gill Range, just 35 kilometres from Kings Canyon, Kings Creek Station is a truly unique 2,000 square kilometre slice of the real Australian outback. 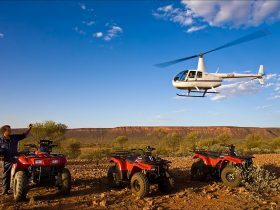 Owned and operated by locals, brimming with true outback hospitality, Kings Creek Station is where an outback adventure begins. 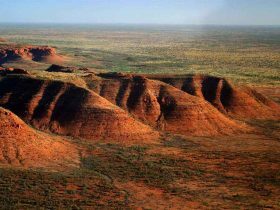 Take a journey through magnificent Desert Oaks, cruise over rolling red sand dunes, weave through thick Mulga scrub and golden fields of Spinifex, pausing occasionally to shoot wildlife (only with a camera!!!). 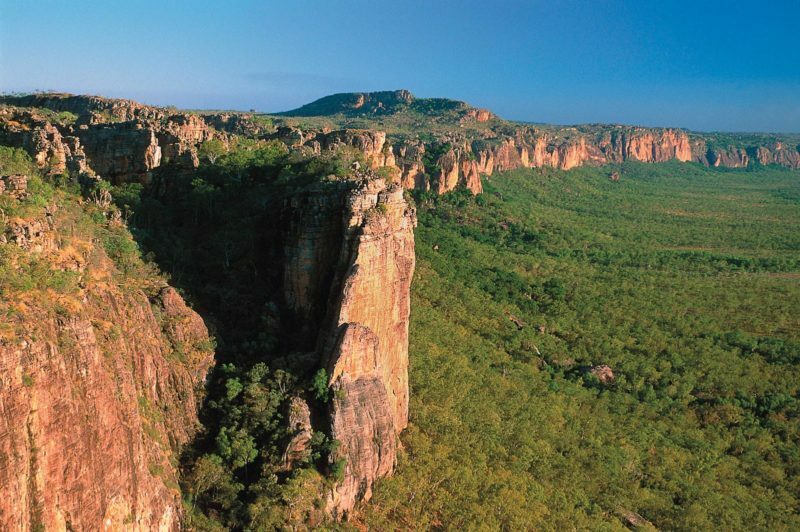 Your adventure takes you through part of our property where you may get to see some our Santa Getrudis / Shorthorn cattle,as well camels, horses, and occasionally kangaroos or even the odd dingo. The birdlife is simply amazing, particularly in the early mornings. 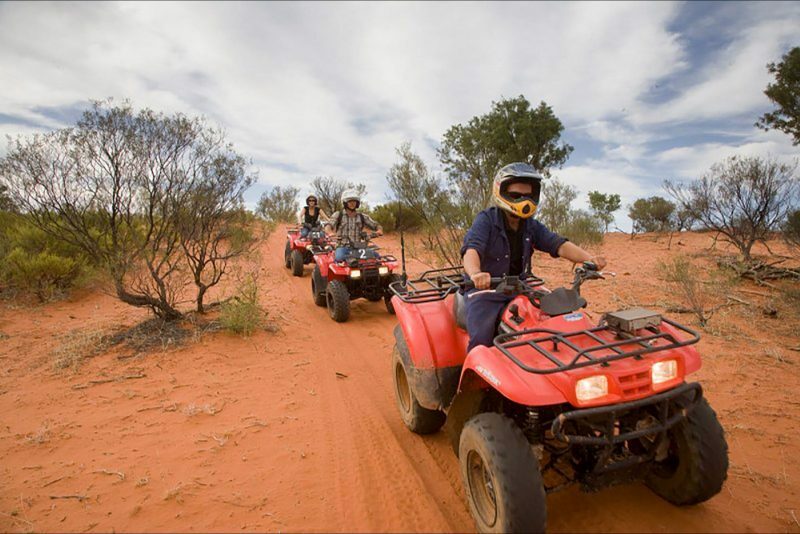 Ride a quad (four – wheel motorbike) and see the Outback as few others have before. Prepare for the experience of a lifetime. 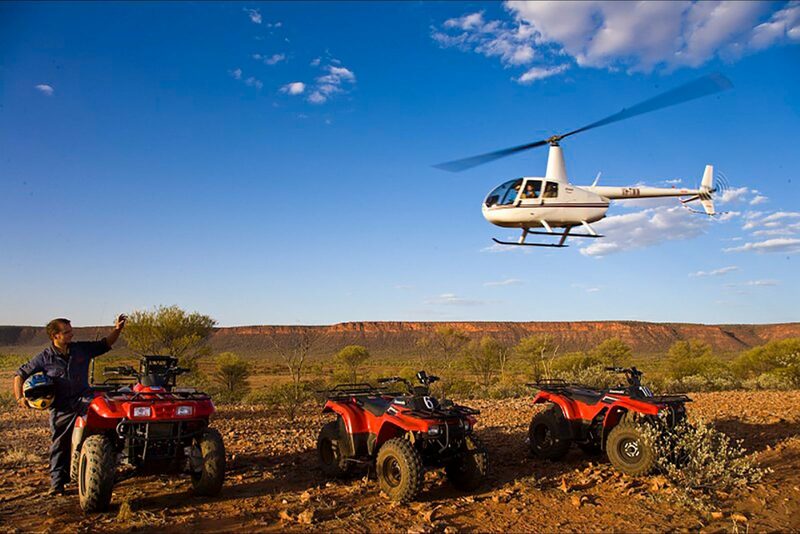 Our overnight Quad Ride gives you the little extra that you may have been looking for. Minimum age is 16 years – maximum age as old as you like!!! !